My goal is to have at least three finished quilts in my Etsy shop all the time but each time I’ve made one of these domino quilts it sells. So I keep making more—makes sense, right? It’s been really interesting to make the same quilt over again. I’ve played around with the color palette and made improvements to my technique. Which is a good thing because I’m going to be teaching a class on this quilt soon. I can’t give details just yet, but I’m really excited! I think maybe after the class I’ll be done with this design for a while. Do you make the same pattern more than once? I’d love to hear from you! 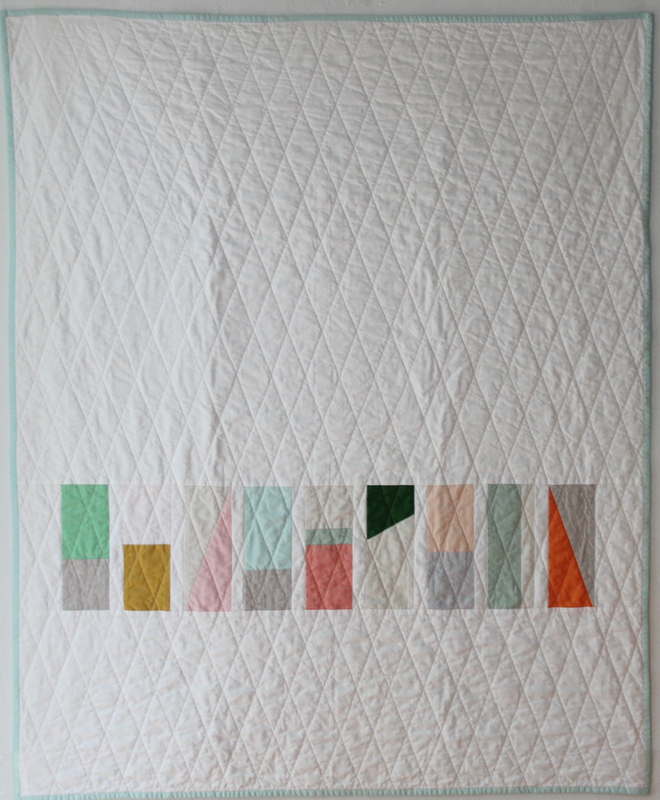 This entry was posted in quilts and tagged domino quilt on July 2, 2015 by brigitdermott. Class? You can’t just say that and…..
Hi Eileen! It’s an online class — through a Vanessa connection (where else!). I really loved seeing your pix from Europe–your trip looked amazing! Well look at you! That is so awesome!! after that. Keep up the beautiful quilts. I love this quilt. I’ve pinned it for possible backs. It would make a nice wallhanging in a modern home. Thanks! This would make a pretty back–I’d love to see the front! I wish I lived closer by to take your class! 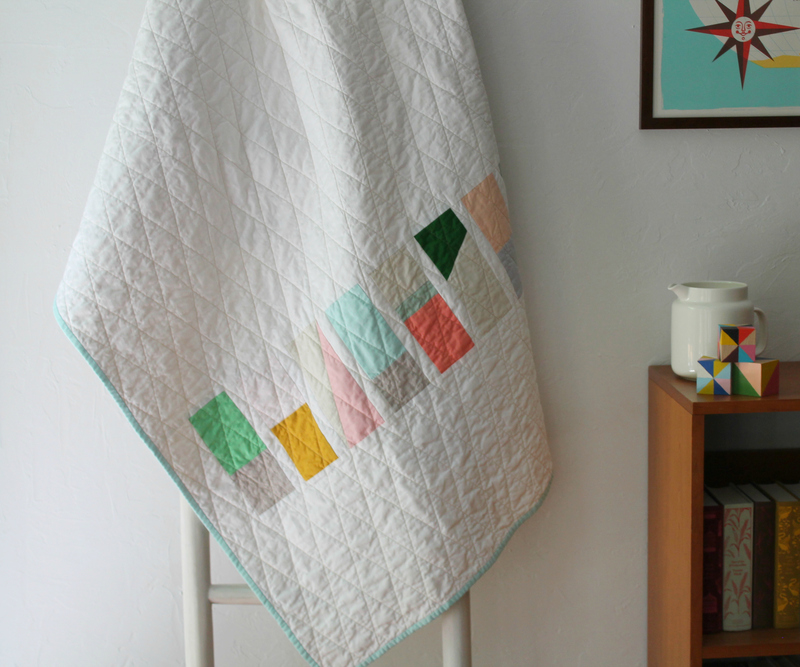 I can see why this quilt sells on etsy–it’s colorful and clean and very appealing.